Tree Surgery & Gardening Petersham TW10 | RDA Cleaning & Maintenance Ltd.
You might think that it takes a whole bunch of professional skills and tools to make your garden amazing. However, from now on you can have it totally awesome without even moving from the couch. All you have to do is to use our top-notched and hassle-free gardening Petersham TW10. Tell us what you need for your patio and we will find the best solution! Last, but not least, consider our promotion: order another service with gardening and get a huge discount! 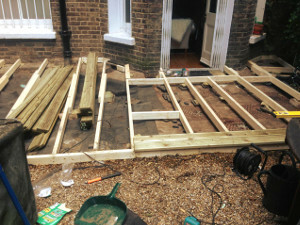 Why Entrust Our Garden Renovation & Maintenance TW10 Petersham Services? We are flexible and can suit anyone`s personal or professional schedule. We have flexible booking slots and we work during weekends and national holidays, too. With no extra charging. Same-day and emergency reservations for our comprehensive garden maintenance & renovation services in Petersham TW10 are always available for you. Keep in mind that we can provide the entire equipment. The gardeners are well-trained and prepared. They are gifted and responsible, they never leave a property with unfinished job! Looking for a reliable team of gardeners in Petersham TW10, then please do not hesitate to give us a callor fill out our online booking form. But, what exactly do we do? Well, the answer is simple: We do it all. We remove any kind of garden waste there is. Be it leafs or anything else. Our vetted gardeners provide excellent lawn mowing care for your front or backyard garden. They will also remove any kind of weeds that might be there with strong weed killers making sure to keep your garden safe and beautiful. Weeds are competitive. They will fight with your plants for food, water, soil and sun. This way they kill most of the houseplants and become the dominating species in your garden. Do not doubt, but rely on our top rated and hassle-free gardening maintenance service in Petersham TW10! Get a free quote right away! We offer reasonable and affordable prices. To make an instant order, please, use the online booking form on our website. Note that free surveys are available on site. Dial this phone number 020 3404 1646 and contact us right away! We will be truly glad to assist you in turning your outdoor space into a welcoming and lovely area.